This stunning drawing was drawn entirely using a Bic Biro by Shelley Ashkowski. The drawing depicts a scene of the Sacre Coeur in Paris at night. The urban setting with shops and graffiti make for a stark contrast against the beauty and history of the Sacre Coeur. 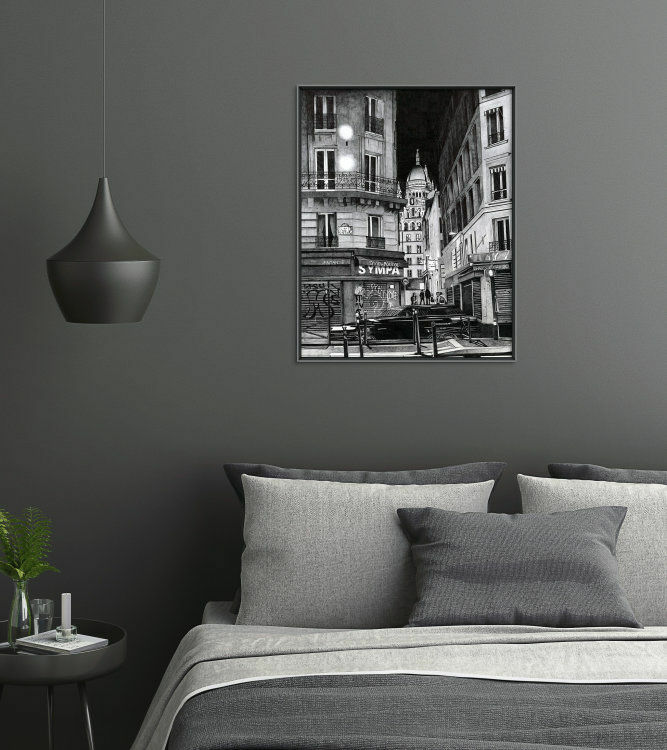 This drawing would be the perfect addition to any art lover's home but would also make a stunning gift for someone who has a connection with Paris or just loves cityscapes. This drawing measures 11x14inches which is a standard picture size, making it convenient and cost effective for you to purchase a frame. The drawing will be carefully rolled in tissue paper and posted in a sturdy poster tube, making for easy and cheap postage. Materials: Bic Cristal Biro on Bristol Smooth Paper. Signed by the artist. Please note that this drawing is sold unframed and any images showing the work framed are purely for display purposes.